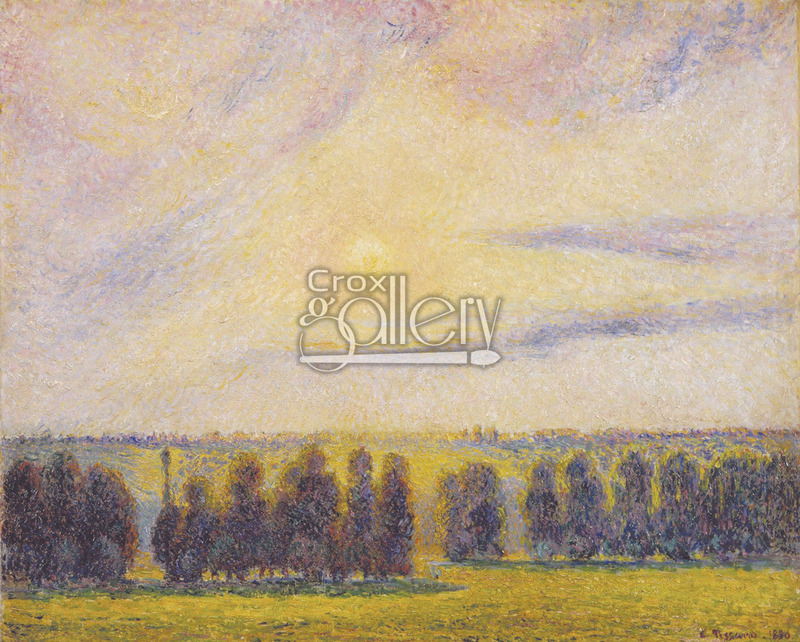 Pissarro's "Sunset at Eragny", The Israel Museum, Painting Reproduction. 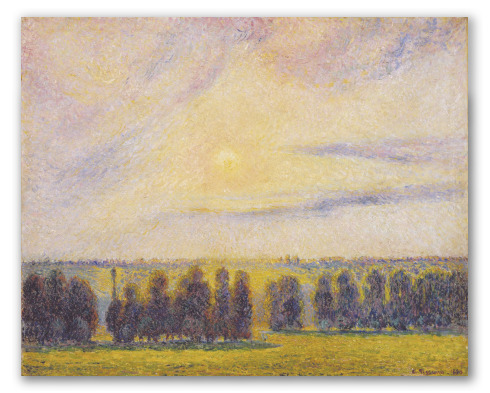 Pissarro's oil-on-canvas "Sunset at Eragny" was painted in 1890, during the artist's final pictoral period. This painting depicts a flat landscape with a low horizon, a row of trees, and a sky colored yellow by the last rays of the sun. The composition and the out of focus look in this painting are strongly reminiscent of the works of Monet. "Sunset at Eragny" is currently displayed at The Israel Museum, Jerusalem. Original size: 65,2 x 81,3 cm.